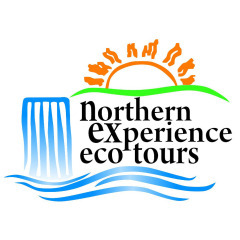 Northern Experience Eco Tours was established in 1997 and is the original Tablelands-Paronella Park tour. This small, 100% locally owned and family operated business provides a highly professional and personalised tour of our local surrounds. Brett - Owner/ Operator/ Tour Guide - is a local through and through. He was born and raised in Cairns so is familiar with all the local history, fauna and flora and has many stories about the areas history, aboriginal legends and the ever changing ecology and abundant wildlife.